025-dc-corporate-photography-magazine-photographer-UNA New World Spring 2010_FINAL_WEB_page_5-irene-abdou-photography.jpg | Irene Abdou Photography, LLC - Travel. Lifestyle. Documentary. NGOs, Development & Public Health. "New World" Magazine. 1/2-page photograph, Spring 2010 Issue. Caption: Mother and children with an insecticide-treated mosquito net in Nigeria. 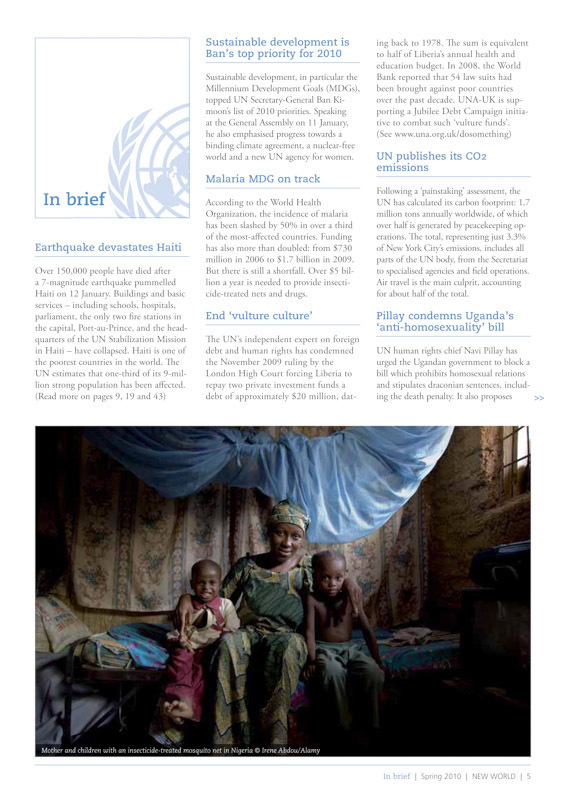 "New World" Magazine is published by the United Nations Association of Great Britain and Northern Ireland (UNA-UK). A leading independent policy authority on the United Nations, UNA-UK is a UK-wide grassroots membership organization.